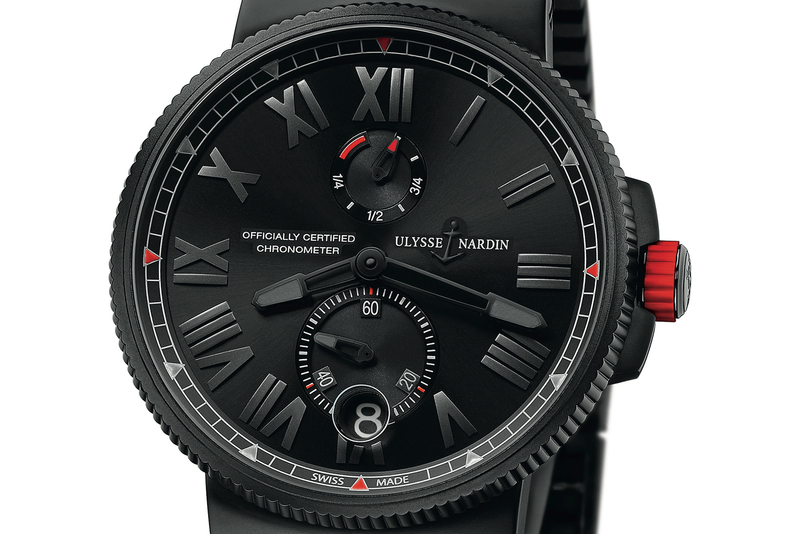 Ulysse Nardin Marine Chronometer Series "Blaktop"
Last week, Le Locle-based manufacturer Ulysse Nardin announced a the “Blaktop” Marine Chronometer. The newest addition to the Marine Chronometer Series comes in a 45 mm steel case that is coated with a black amorphous carbon layer that is hypoallergenic and highly scotch resistant. It is limited to 99 pieces, and will be available exclusively at mono-brand boutiques. 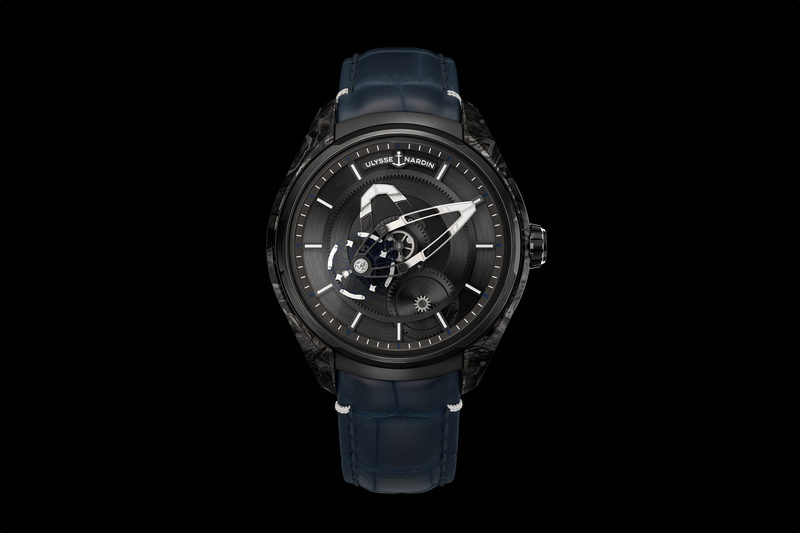 The dial is matt black with a sunburst finish, and with hours marked by anthracite colored, applied Roman numerals. The skeletonized hour and minute hands are black with anthracite luminous material on the end of each. A matching skeletonized hand indicates continuous seconds in the subsidiary dial at 6 o’clock. A small dial at 12 o’clock displays the power reserve, along with a red indicator for when the mainspring is nearly out of energy. The flange has a printed minute track with triangle anthracite luminous markers at every five minute interval, except at 12, 3, 6 and 9, which are marked with contrasting red triangles. The crown is in black steel, with a red rubberized cover, for easier grip while operated. It features black security guards and screws-down. An anti-reflective sapphire crystal protects the dial, with a sapphire crystal caseback. Water-resistance is 200 meters. 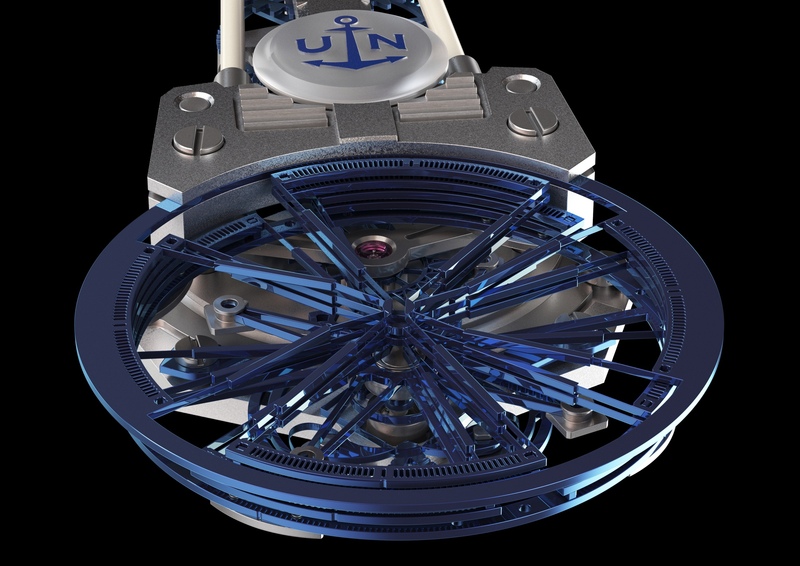 Powering the wristwatch is the UN-118 caliber. The self-winding caliber is in-house manufactured and includes a patented DIAMonSIL escapement, a patented inertial balance when and a dilicim hairspring. 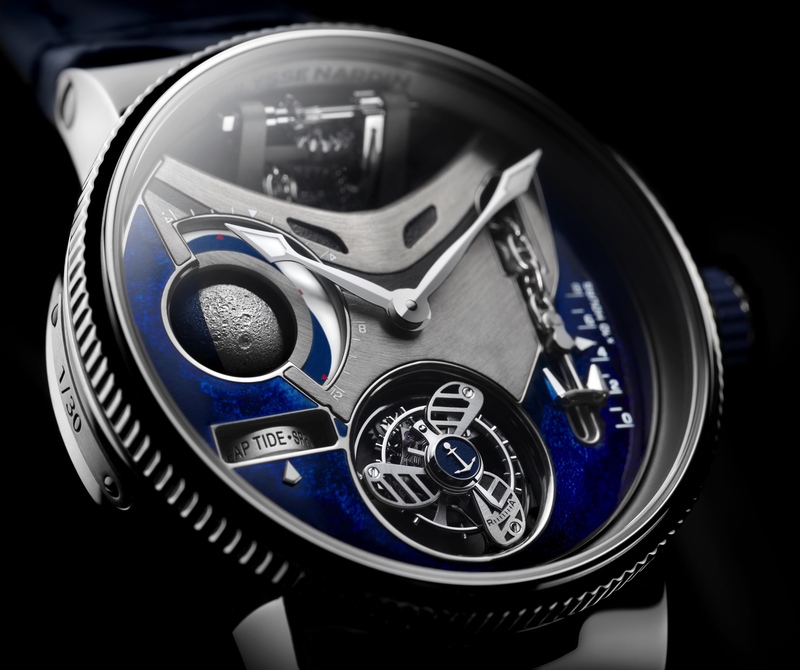 The movement beats at 4Hz, has 50 jewels and a maximum power reserve of 60-hours.